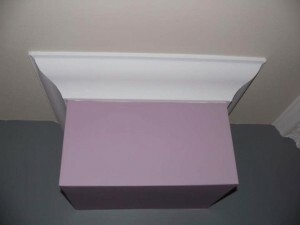 This coving is made from plasterboard. It comes down and out 84mm. Suitable for a ceiling from 8ft.